We are quickly moving towards the year 2019 and according to a number of experts, this year is going to be quite a significant one. To support this statement, there are many emerging technologies that are likely to be adopted by various industry verticals in the upcoming few months like Blockchain, A.I., Flutter and much more. That means the business models and strategies also need to be updated with the change in technology trends. 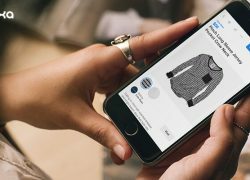 That’s why in this article, we will be covering some of the most efficient ways in which companies can easily capitalize their e-commerce apps. In the last few years, the global mobile e-commerce market has gained value of several billion U.S. dollars. This growth also includes the web and mobile app development industry, for instance, social media platforms have taken the level of communication to another level. 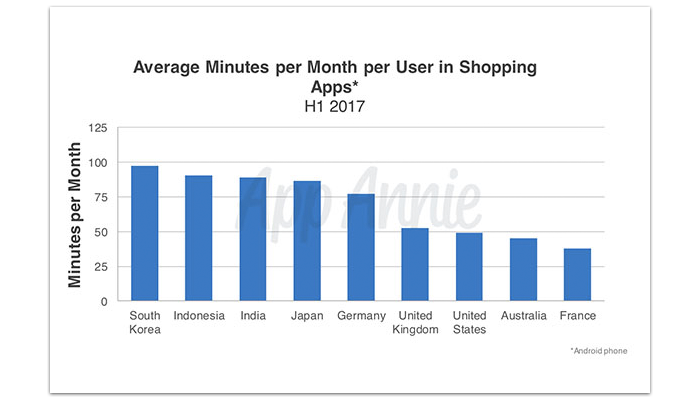 According to a recent report by App Annie, it was seen that global downloads of e-commerce apps grew more than 20 percent in the first quarter of the year 2017. The above graph also shows that on average, the time spent by mobile app users across multiple online shopping or e-commerce applications is more than half an hour. But still, there are many things that need to be considered by e-commerce companies when it comes to strategizing their plans. One of the main challenges when it comes to e-commerce platforms is the gap that occurs between the end-user and the platform itself. It is the primary objective for e-commerce organizations and brands to minimize these differences and provide a seamless experience to the audience. This gap can only be bridged by innovative mobile apps that can offer a link between the digital and physical worlds. So, it is the responsibility of the e-commerce companies that provide context to their targeted user base, especially when they are in the stores. Here, building a highly integrated and customized user experience is exactly what a brand needs to follow. For example, there are some smart e-commerce businesses that are following mobility concepts by preventing their potential app users from investing in their competitors or the ones that are offering similar products at a much lower price than their companies. The testing stage in the process of mobile app development is a crucial part that companies just cannot afford to miss or even be careless about. And among the different types of testing, the A/B testing is referred to as an excellent approach to evaluate the possibilities with two different scenarios. And now the team of app developers can use the same A/B testing technique to optimize their e-commerce online websites and apps according to the requirement as well as the preferences of the customers. 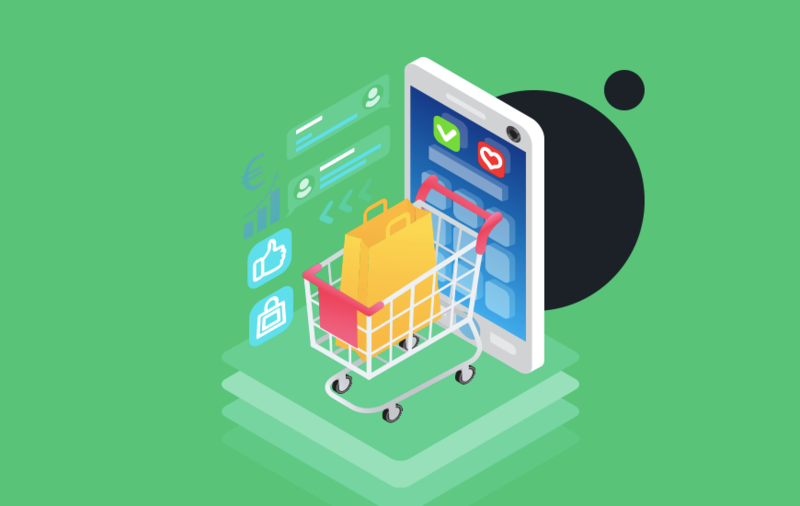 In order to keep pace with the evolving trends of the e-commerce market, you need to optimize your mobile or web-based app purchase funnel with the help of A/B testing. At present, the A/B testing tools are also experiencing an updation state which is the reason why traditional desktop e-commerce websites are losing their hold. This allows e-commerce platforms to optimize their purchasing funnel while covering their mobile-based traffic at a faster pace. When it comes to gaining a hold on your targeted app user audience, segmentation can come in very handy. By creating segments for your e-commerce app user base, you are not just dividing your audience but also adding personalization factors into the mix. One of the most popular advantages of segmentation is customized message user targeting. There’s no denying the fact that more and more businesses are finding their way in the field of mobile application development, making ‘Digitalization’ a trending buzzword. This is also providing a boost to digital marketing services because today the customer is not just buying a product from you, they are providing value for the experience. Apart from purchasing a product, there are many more services that can be converted into a stable source for generating revenue. Some of these services are a newsletter or e-mail subscriptions, brand promotions, store events, special festive shopping offers/deals and much more. If you want your e-commerce app to be transformed into a major success overnight, then you need the support of the discoverability factor. This is because your e-commerce platform won’t be able to perform well in the market if it is not discovered by potential app users. So, the e-commerce app developers need to make sure that their application is discoverable, there are many ways to increase the discoverability of your app. For example, there are many brands that are entirely dependent on their SEO (Search Engine Optimization) team to reach more audiences. But in case you are looking to increase your user retention rate than push notifications can turn out to be a great option. 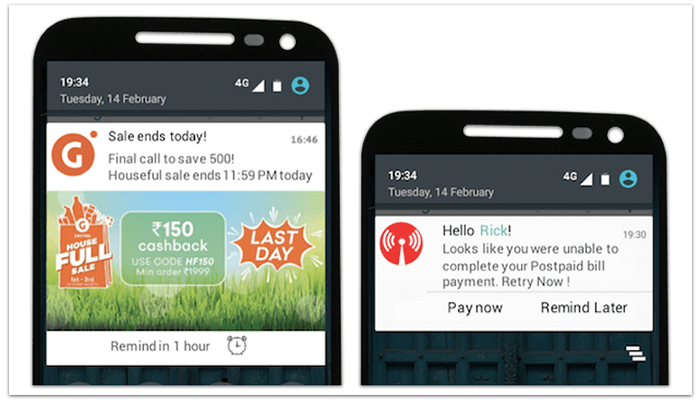 The in-app push notifications are highly effective in grabbing the users’ attention. Earlier, it was reported by Localytics that more than 50 percent of smartphone users have enabled push notifications on their mobile devices. To bridge the gap between the physical world and the digital world. 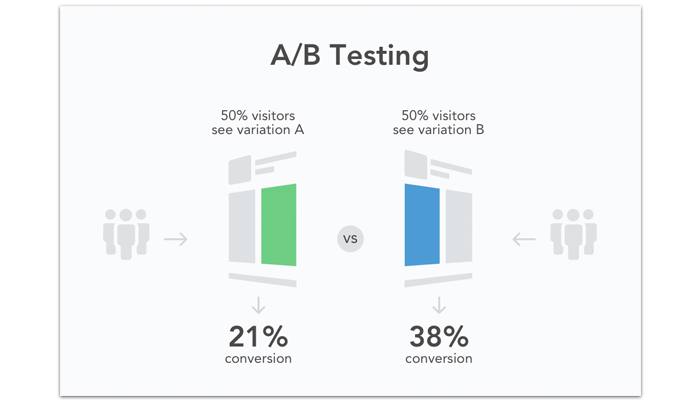 Optimize your e-commerce app with the help of A/B testing. Make sure you have created segments for as per your target audience. 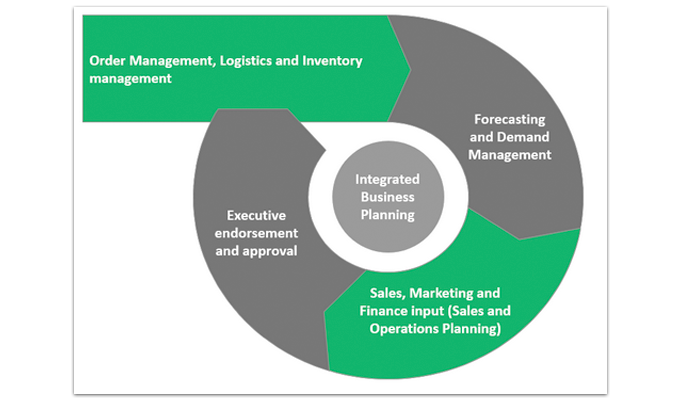 As an e-commerce company, always opt for integrated business objectives. Give priority to the discoverability factor of your e-commerce platform. The main thing to focus here is that as an e-commerce company the goals of the organization and employees to move towards the same direction. The mobile app is a medium for your e-commerce platform to reach hundreds and thousands of potential customers, which is why it is required to be operated in a particular way. In order to stay ahead of your competition in the e-commerce industry, your mobile/web app needs to be in sync with the latest updates and trends of the market. As a business, you must optimize the mobile apps completely while delivering a phenomenal user experience to the audience and capitalizing on business growth.